Following up where the band’s 2016-released Critical Hits debut left off, the eight tracks that comprise Second Edition showcase GYGAX‘s unrivaled and potent tendency to create absolutely anthemic rock ‘n’ roll hits, chock-full of hip shakin’ grooves and twin guitar explosions that would make Thin Lizzy shed a tear of pride. Second Edition was recorded in November of 2017 with Scott Goodrich at Nu-Tone Studios in Pittsburgh, California, and features the always incredible artwork of Fares Maese. Second Edition sees the band carrying on their unique blend of unadulterated vintage hard rock and gamer-centric imagery. 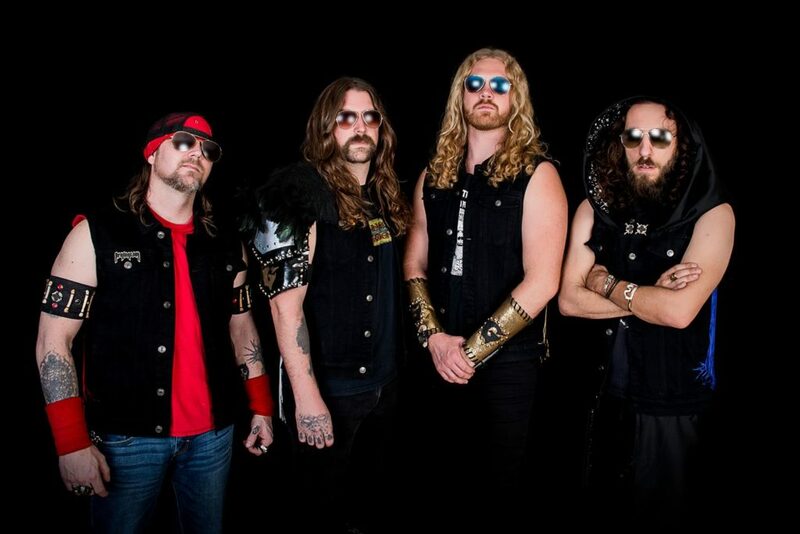 Named after Gary Gygax (and blessed and approved by Gary Gygax Jr.), the band continues to showcase their love for Dungeons & Dragons, Thin Lizzy, and ’70s boogie-fueled metal and classic rock – a deadly infectious sonic offering measured in equal parts by Eric Harris’ thematic lyrics of magic spells and fantastical characters. The cover art and track listing for the album have been issued, with preorder links, audio samples, and more to follow in the coming weeks. 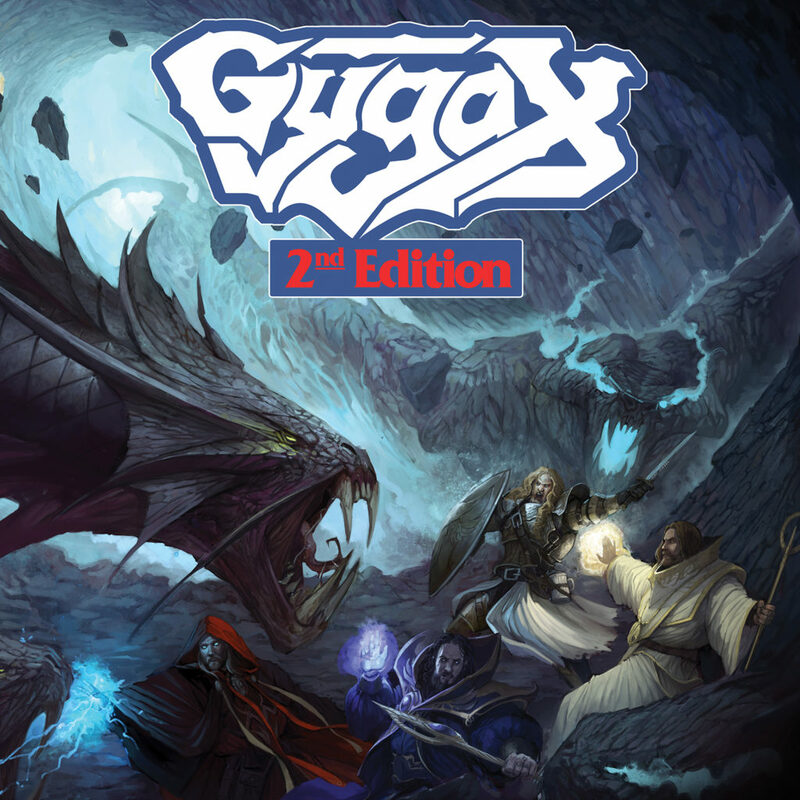 After rapidly creating buzz with their local live performances, GYGAX released their aptly titled debut LP Critical Hits in January 2016, garnering stellar reviews worldwide. The band completed a highly successful two-week US run in the Summer of 2016, which included a headline appearance at the first ever Magic & Metal Festival at the Majestic Theater in GYGAX‘s hometown. 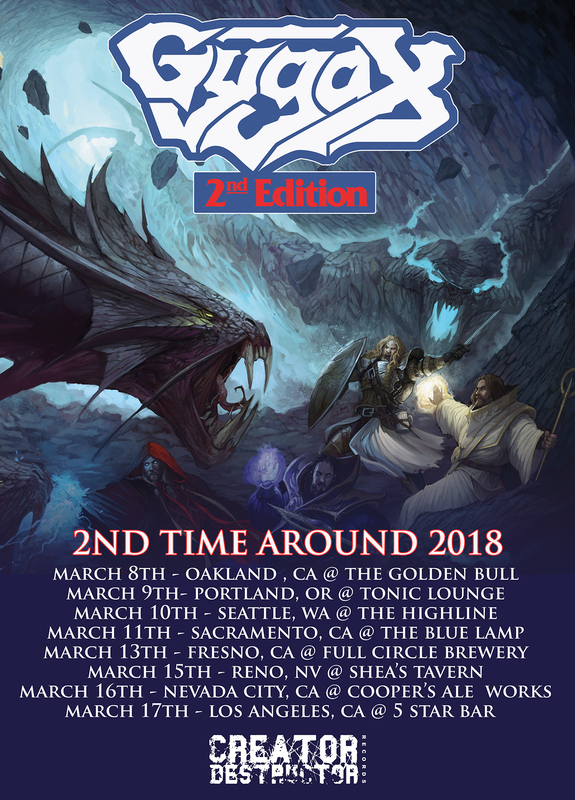 In 2018, GYGAX is eager to embark on yet another successful chapter in their critical conquest, starting with a headlining West Coast tour in mid-March.